Teachers: Talk to your students about attendance. 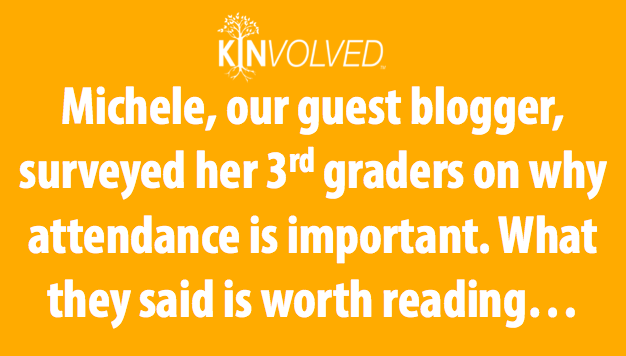 Last Monday morning, I sat down with my third graders to talk about attendance. We had already discussed the importance of attendance and arriving to class on time back in September, so this would be a different kind of conversation. I wanted to know how they felt about coming to school, and why they thought good attendance was important. After talking with them, I was struck by was how close their answers were to the experts’. Just like many elementary absenteeism studies by education researchers, my students linked attendance to college and career readiness, and suggested initiatives to improve attendance rates. The first thing I wanted to know was why my students thought attendance was important. My third graders linked their attendance with test scores and college readiness. Many of my students pointed to math as a subject that they were nervous about missing, because they feel like they could miss out on important information. “I come to school to learn, and I feel bad that I miss out when I am absent,” said Khaliyah. Even though my students are from some of the communities most affected by chronic absenteeism, they know how critical attendance is to their success. How do you feel when you are not at school? While staying home from school might seem like an exciting proposition to most kids, my students admitted that the day off comes with a price. “It makes me nervous to miss stuff that’s going to be on a test,” Nazir said. What can teachers do to help improve attendance? Many studies suggest interventions for attendance. My students’ responses were varied in their suggestions for boosting our class attendance rates. Some of them suggested using rewards and incentives to get kids to school every day. “Maybe if kids come to school every day, they can have a surprise,” said Azurra. “Kids especially want to come to school when learning is fun,” said Alicia. Another one of my students suggested the popular theory that communication is enough to significantly boost attendance. “Teachers should say hi to students every day, and ask them why they weren’t in school, and ask them if they are coming to school the next day,” said Qu’ran. Attendance is such a basic prerequisite for success, that even our nation’s youngest kids can teach us of its value. 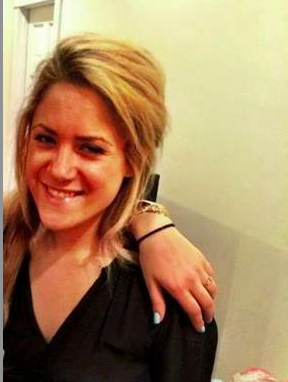 Contributor: Michele Narov was Kinvolved’s Summer Business Development Associate. She was responsible for developing and fostering partnerships with schools, after school programs, and community organizations dedicated to improving student success. Michele is a Teach For America corps member, and serves as a third grade math and science teacher at Camden Street Elementary School in Newark, NJ.